“I produce the framework of a composition according to the image in my mind by adjusting the orientation and angle of driftwood.” Image copyright: Aqua Design Amano. 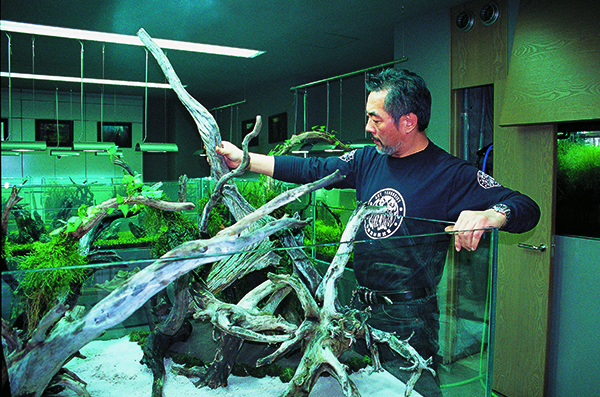 by Steve Waldron • Last summer, the aquarium hobby lost one of its guiding lights with the untimely death of the Japanese master aquascaper Takashi Amano. 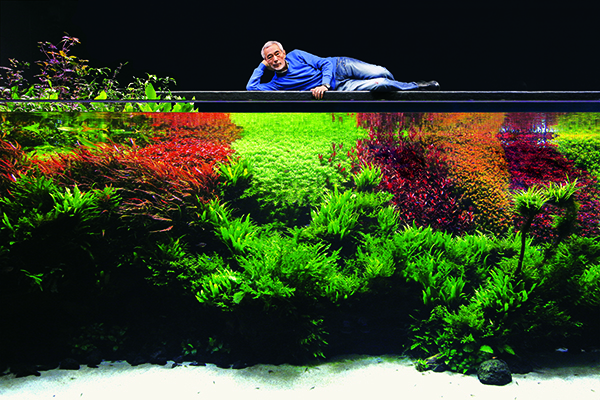 The void Amano left is as large as the role he played in inspiring the freshwater aquascaping movement, the popularity of which continues to grow exponentially. Thankfully, Aqua Design Amano will soon release the English-language version of Amano’s biography, Origin of Creation, which I think will bring some comfort to those of us who are still mourning the loss of the master. In my mind, the book is not just an interesting biography of the man but also a guide on how to lead a creative life and a lodestone for anyone seeking to master the art of the Nature Aquarium. The writing of Origin of Creation was a collaboration between Amano and his daughter, Sayuri. During the final phase of Amano’s illness, over the course of a year, they crafted this fine book, rich in stories about Amano’s life and filled with beautiful images, some of which have never before been published. “Trudging through the jungle, carrying the large format camera. Shooting photographs was extremely brutal.” Image copyright: Aqua Design Amano. Origin of Creation is, of course, a biography, and in it we learn some of the details of Takashi Amano’s extraordinary life. He grew up in a family of humble means and lived in a region and era of Japan that still resonated with some of the natural beauty and wildness that would inspire him throughout his life. During Amano’s childhood he explored aquatic nature and enjoyed the freedom of unsupervised play in a freshwater lagoon called Yoroigata. It was there that his artistic seed was germinated and the blueprint for his career was created. Yoroigata was also the scene of Amano’s first ecological heartbreak, as it was destroyed and drained to make way for development. Environmental crisis is another thread that wove through Amano’s life and fired his art. Takashi Amano was an extraordinary young man. He painted beautiful and painstaking pointillistic renderings of his beloved tropical fishes and was a successful professional cyclist who spent all his race winnings on aquariums, travel to exotic places, and photographic equipment. The beauty of Origin of Creation is that it not only tells us about Amano’s personal growth, but also transports us to the places and moments in his life where his inspiration was most activated and strings them together in poetic text, sending the reader on an adventurous journey with a man of extraordinary energy and spirit. We see how Amano, throughout his life, followed these sources of inspiration into the Amazon, Borneo, West Africa, and wild Japan, and instinctively allowed that wild creativity to flow through his enchanting aquascapes and photographs. 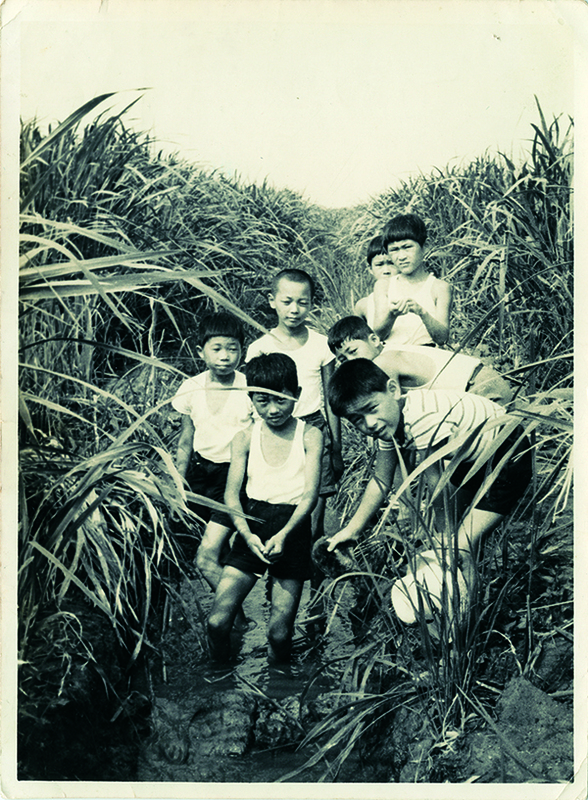 “Yoroigata Lagoon, where I used to play with my childhood friends, is the landscape of my heart.” (Takashi Amano, center, age 10, 1964). Image: Aqua Design Amano. If there is a formula to Amano’s success as an artist, I believe it is this: He was born with a deep love for the wildest, purest, and most primeval expressions of nature and constantly immersed himself in the heart of this inspiration. His famous aquascapes freely and naturally flowed from that energy and from those experiences (though he does admit to having struggled due to mixing whiskey with his first Iwagumi attempts). 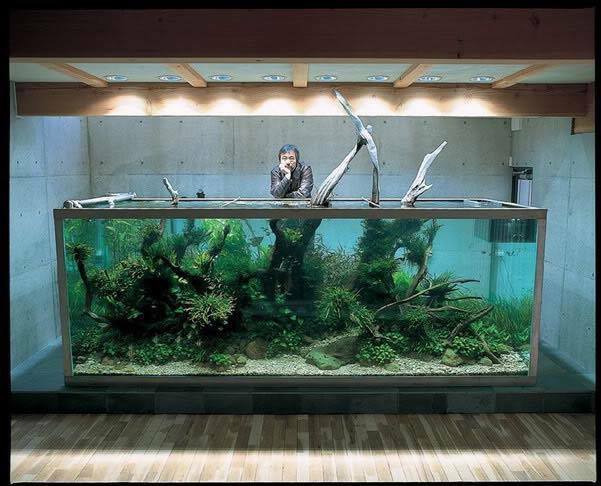 Wild nature was the origin of every one of Takashi Amano’s creations, and because of that elemental core to his art, that natural authenticity, the aquascaping hobby will forever orbit around his genius and his singular expressions of the natural world’s beauty. Available from select aquarium retail shops and AMAZON now in Books.